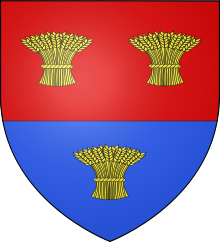 Matilda de Braose was probably born in the early 1150s in Saint-Valery-en-Caux, France, to Bernard IV, Seigneur de Saint-Valery and his wife, Matilda. Contemporary records describe her as tall and beautiful, wise and vigorous. Made famous by the de Braose’s spectacular falling-out with King John – and the manner of her death – very little is known of Matilda’s early years; though she probably spent time at her family’s manor of Hinton Waldrist in Berkshire. Sometime around 1166 she married William de Braose, 4th Lord of Bramber, a Norman lord with land on the Welsh Marches. William was highly favoured by both Richard I and, later his brother King John.